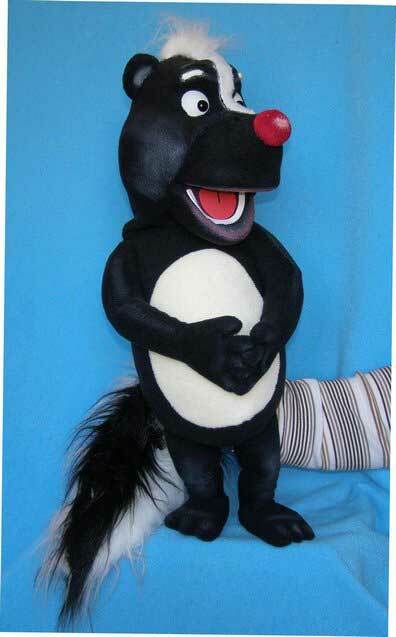 Skunk foam ventriloquist puppet for sale, is made of modified foam rubber and covered with fleece fabric. The ventriloquist Dummy doll has a movable mouth and convenient grip control of mouth movements. The head turns 360 degrees. 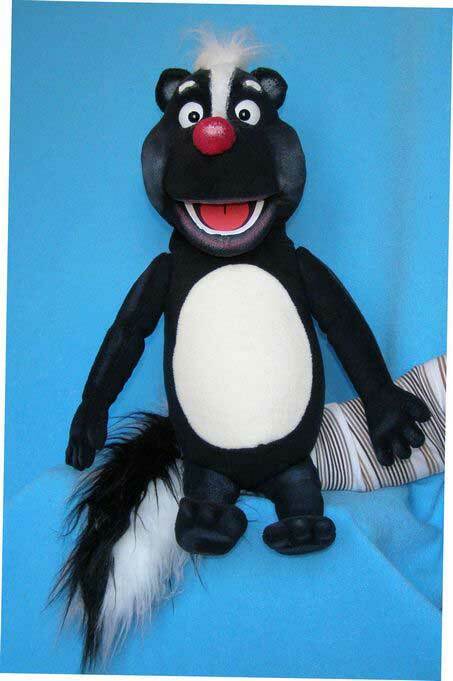 The soft Dummies doll is a professionally muppet puppets for ventriloquists. Clothes are removable and may vary. 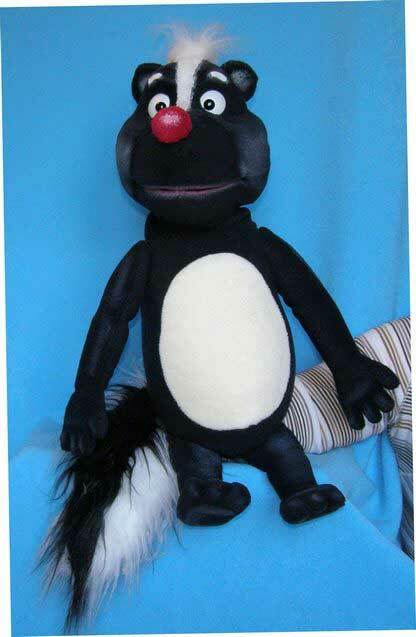 It can easily be used for talking puppet show, performances by professional puppeteers, amateurs and children as well. A beautiful and original gift, a designer’s work made by hand! The ventriloquist figure dummy puppet doll will be made to order and sent to you 3 weeks after payment.